Escape rooms are thrilling and exciting especially since you don’t know what to expect until you are locked in, and the clock is already ticking. Every escape room presents a different kind of challenge, and no room is identical to the last one you experienced. A bit of practice and some preparation can help you and your group of adventure seekers successfully solve the mystery. 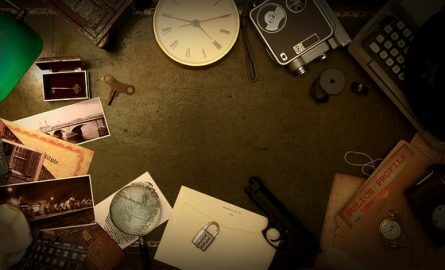 Here are tips to win an escape room game. While you are bound to have a set of friends or family members you want to spend time with, each person has specific personal characteristics that may or may not work in an escape room game. Before you book an escape room at Omescape in London, consider inviting a group of people that work well together. You must be comfortable in communicating with each other, and each member of the group should have an open mind to perform a specific role when already inside the escape room. Certain aspects of your preparation can help improve the overall escape room experience. For example, it is important to wear comfortable clothing. You should be able to move around without restrictions as the game may require you to crawl through tight spaces, climb up ladders, and enter secret passages. Wearing expensive clothing is not advisable for this activity. Another critical aspect of preparing for an escape room game is to make sure that you eat a proper meal before the game starts. You should have the physical and mental capacity to solve a mystery; hence a full stomach is necessary. The rule of thumb in resolving escape room scenarios is to scan the room first before doing anything else. Look from top to bottom and search every nook and cranny. If possible, delegate each group member to explore a particular area to maximise the time. A thorough search ensures that you find all possible clues related to solving the puzzle. After thoroughly searching the room for clues, start organising all the items you found. Sort them according to importance and relationship with one another. You should also keep track of each object once already used. Some puzzles may require to use clues according to a specific sequence and others may even allow utilising a hint more than once. Most escape rooms prohibit phones and electronic gadgets. Nevertheless, you should have someone in the group assigned to keep track of time. Escape room games usually run for an average of 60 minutes. It is helpful when a person is providing the team with a countdown of how many minutes are left when everyone is engrossed in the activity. Your team will likely encounter a roadblock in solving the mystery. That may derail and take up too much time. Instead of focusing on one puzzle you are having difficulty with, try to retrace your steps or concentrate on other clues which may eventually help complete the problem.